Taking care of the delicate skin around our eyes is essential for maintaining a youthful look at any age. The skin under and around our eyes is one of the first places to show the signs of aging like fine lines, wrinkles, and sagging skin. Our under eye skin is significantly thinner, doesn’t have as many oil glands, and can’t produce as much collagen or elastin as the skin on the rest of our face. This makes the under eyes more prone to moisture loss and dryness. Have Patience. Nothing Works Immediately. Rejuvenating the under eye area is a process that requires commitment—especially when using natural and organic eye creams. You are working against nature to replenish lost moisture and nutrients. This requires daily commitment, a potent formula, and consistency. While some natural ingredients can add instant moisture and brightness, it can take weeks or months to visibly diminish the appearance of fine lines and wrinkles. Take a photo of your eyes before you begin an under eye regimen and check back in on your progress least 30-60 days later. The changes may be subtle, so a photo really helps. (Unfortunately) Creams Can’t Fix Every Under Eye Issue. There is nothing that a natural eye cream can do to fix dark circles and puffiness caused by genetics, poor diet, lack of sleep, or severe allergies. If your dark circles are caused by deeply set eyes which cast a shadow, then your under eyes may actually be healthy and any dark circle cream purchase would just be a waste of money. Likewise, poor diets (excessive caffeine and sugar intake) and a lack of sleep can only truly be corrected by a change in daily behavior. Before throwing down a boatload of cash on an expensive eye cream, do your best to understand the causes of your under eye woes and exercise the appropriate solutions. You May Need to Use Two Different Eye Creams. 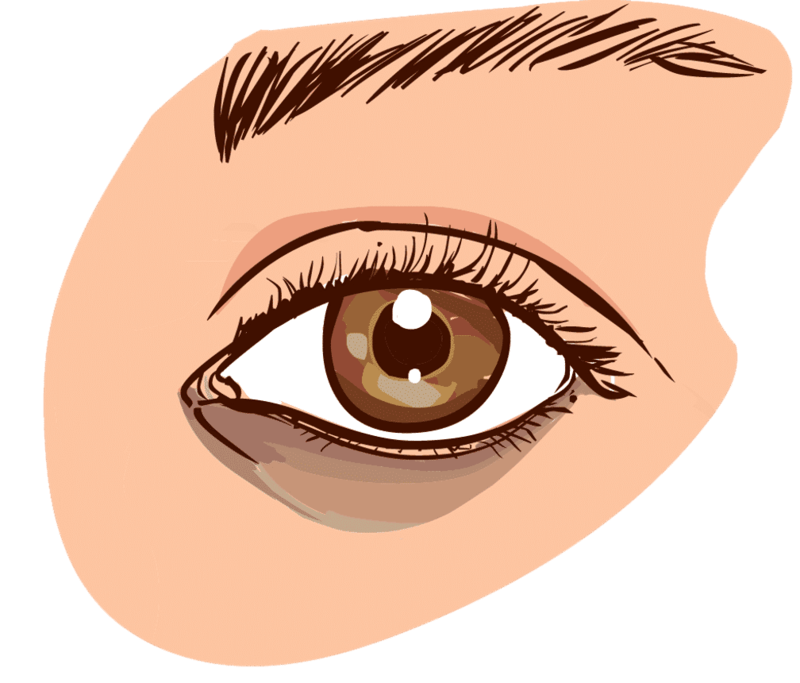 There are three main under eye conditions: dark circles, puffiness, and wrinkles. To date, we have yet to find an eye cream that can tackle all three conditions effectively. If you suffer from more than one eye issue, then you may need to use more than one eye cream to really get the job done. Dark circles may require a product which increases circulation, hydration, and brightens. To treat puffiness and/or irritation, you’ll need a product with anti-inflammatory and tightening. Wrinkles need a product that can add mega moisture and fatty acids. Ideally, you’ll want to combine an organic eye treatment serum with an organic moisturizing eye cream for best results. 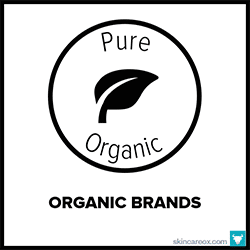 Still need a little help choosing the best organic skin care products for your skin? Then, check out The Ox Box! Each quarter, we’ll put together a box filled with premium organic skin care products hand-selected for your specific skin type and skin conditions. An organic eye cream that actually delivers results--fast. This luxuriously rich cream is expertly crafted to fight wrinkles and crow's feet with organic rose oil, neroli oil, and patchouli oil. This formula moisturizes like no other and sinks deeply into the skin where it plumps and nourishes dry skin. 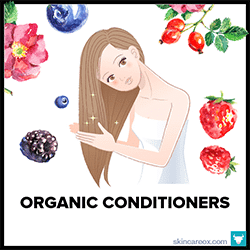 Best of all, it is made with 100% natural and 96% certified organic ingredients. Perfect for all skin types, but especially great for mature skin. This eye gel is packed with hydrating and anti-aging ingredients like hyaluronic acid, resveratrol, organic algae, and aloe. It is designed to add a boost of hydration to reduce the appearance of fine lines, wrinkles, and puffiness that may cause your eyes to look tired. Even though it is a gel, it feels like water and absorbs easily without leaving a sticky residue. Perfect for use under makeup or on its own as a potent eye treatment. This is one heavy-hitting organic eye cream made with some of the best natural ingredients for fighting dark circles and undereye puffiness. Key ingredients include aloe vera (soothes redness), rose water (mild astringent that reduces puffiness), coffee beans + green tea (caffeine increases circulation for dark circles), and tons of moisturizing ingredients like rosehip oil and vitamin E. Smells like vanilla coffee. Noticed results in a few days. Want an eye serum that's potent enough to treat wrinkles yet gentle enough for sensitive eyes? Then try this lovely formulation from True Botanicals. It's a rich serum made from soothing ingredients that won't burn, sting, or irritate the eyes. Works well for dark circles, wrinkles, and puffy eyes. Key ingredients include avocado oil, evening primrose, rosehip seed oil, blackberry seed oil, jojoba oil, and green tea oil. Can be used day or night. It would not be an understatement to say that this product is one of the best organic eye creams available for dark circles, fine lines, and puffy eyes. Yeah, it's that good. After just a few uses, this rich cream visibly brightens and tightens the undereye area and the results just keep getting better with further use. Star ingredients include wild plum juice (brightening), CoQ10, evening primrose, green tea, horse chestnut (tightening), and eyebright. An affordable organic eye cream which can stand up to many of the more expensive products out there. it is designed to intensely moisturize the delicate eye area with vitamin c, sunflower oil, shea butter, borage seed oil, linseed oil, and almond oil (just to name a few). It also has a nice creamy texture. Even though this eye cream contains water as a filler, it is very rich does add a ton of moisture. Worth trying before more expensive products. The effectiveness and ingredient quality of this organic eye serum really makes this one of the top products on this list. This serum simply leaves your eyes feeling super soft and supple without being greasy. Just apply at night and wake up to noticeably softer, de-puffed, and brighter eyes. A little goes a long way and just a single drop is necessary for both eyes. Made with CoQ10 and organic oils of almond, jojoba, rose, rosehip, and fennel. A potent remedy for those looking to reduce fine lines and wrinkles. As a preventative solution, this organic eye cream does a great job. 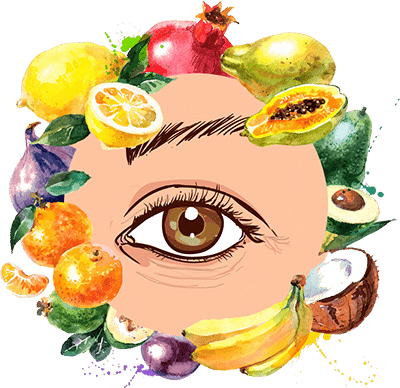 It is packed with antioxidants and vitamins which nourish the delicate undereye area with the nutrients that it need to stay plump and hydrated. Like all eye creams, consistency is key. Thus, it may take a few weeks (or months) of regular use before you'll visibly notice a reduction in deeper wrinkles. This USDA certified organic eye cream is a really nice product at an affordable price considering the ingredients. It contains no water and is filled with moisturizing ingredients like argan, avocado oil, rosehip (brightening), sunflower oil, and shea butter. It does contain a little organic alcohol and witch hazel which can sting if they get into your eyes, so apply sparingly to the eye area. The applicator is cold and always a treat to apply. It's hard to find an ingredient that is great for the eyes that isn't in this product. This organic eye butter is designed to be worn at night as it hydrates, soothes, and de-puffs as you sleep. 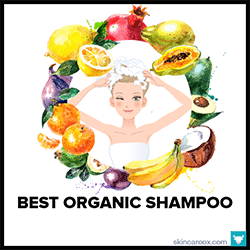 It is made with 82% certified organic ingredients and 15 high quality natural actives like cucumber seed oil, marula oil, black cumin, argan oil, rosehip oil, pomegranate, and chamomile. Apply at night and wake up to noticeably brighter eyes in the morning. A great companion to Rose Mira's organic Bella Rose eye cream. While the Bella Rose formula knocks out wrinkles, the Eye Love You goes a bit deeper to treat dark circles and eye puffiness with heavy-hitting ingredients like sea buckthorn, borage seed oil, evening primrose, carrot seed oil, and apricot oil. This luxury serum contains a whopping 100% certified organic + wildcrafted ingredients. Massage a drop under each eye before applying an eye cream. 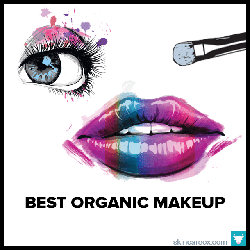 This organic eye serum is part treatment and part makeup. As an eye treatment, this serum contains vitamin K (known to brighten dark circles) and horse chestnut (improves circulation). As a cover-up, it also contains mica and silica which both refract light (causing dark circles to appear lighter). If you want something that will give an instant fix and continue to improve your eye health--this is a good bet. Great for under makeup wear. We've got good news and news for this product. The good news is that it is super affordable, made with safe ingredients, and contains compounds that can improve your undereye skin over time. The bad news? Because of its affordable price, it isn't as potent of a formula as some other brands (contains a lot of water as a filler). If you don't want to spend a fortune, but also want a nice daily treatment for your eyes, then this may be your cream. This high-end organic eye cream is very hydrating and a great daily tool for preventing and minimizing the appearance of fine lines and wrinkles. 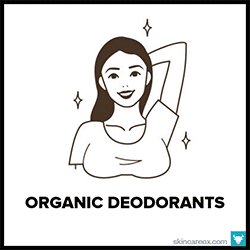 It is made from 100% natural and 66% organic ingredients (certified by Ecocert). The formula absorbs fast, brightens the eye area, and makes the undereye skin appear plumper. A great choice for those especially tired eyes in the morning. At the price, it is no miracle worker, but it does work quite well. Another fantastic organic eye cream from Eminence. Neroli oil is the star of this product and it has been heralded for its ability to soothe and tighten skin. It is great for sensitive skin types and for the delicate eye area. This eye cream has a ton of eye nourishing goodies like CoQ10, vitamins A + E + C, coconut water, oligosaccharides from chicory root, as well as green apple stem cells. Great for under makeup or as a base for an eye cream. This organic eye treatment really lives up to its name. The formula is incredibly hydrating and keeps the undereye area looking moisturized and plump all day long. A little goes a very long way, even in the driest climates. While this eye treatment may not make severe undereye issues (like deep wrinkles and dark circles) vanish, it works perfectly as a daily moisturizing solution. Can be worn over other eye treatments if you need a punch of hydration. Using two organic eye serums in combination is a good way to treat the trifecta of conditions: dark circles, puffiness, and wrinkles. This organic serum is a great base for immediately de-puffing and tightening eyes in the morning. It's not incredibly moisturizing, so a moisturizing top cream is recommended; however, it is very effective at tightening and increasing circulation. Has a mild brightening effect as well, which is a nice bonus. There are three places on our bodies which give away our age: eyes, neck, and hands. While women spend a lot of time taking care of their eyes and hands, it is rare to take care of our neck area with the same care. That's the benefit of this organic serum--it works to firm both the eye and neck area. Takes some time to see results (it's an all-natural formula), but definitely worth the wait. Works great in combination with other skin treatments. This is a solid organic eye cream. 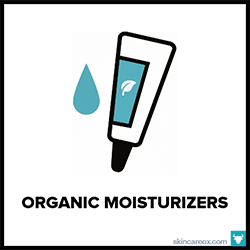 While not potent enough to dramatically reduce fine lines, wrinkles, or dark circles, it makes for a fantastic moisturizer to layer on top of another serum (or as a daily eye moisturizer for those without major undereye issues). The texture is creamy and absorbs easily. It has a unique formula made from ingredients like aloe, orange extract, red algae, vitamin C, and grapeseed oil. Affordable given how long it lasts. A USDA certified organic eye cream made in the USA. While this formula is a bit oily, it's actually quite nice as a night treatment (especially for extremely dry skin types or in dry climates). 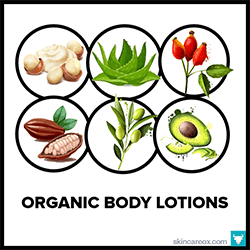 It's almost entirely made from organic oils like olive, jojoba, grapeseed, primrose, lavender, and geranium. Calendula is a known soother of irritated eyes and bilberry is packed with anthocyanosides (powerful plant antioxidants). A good formula at a good price. Works great as a hydrating and proactive night treatment for those who want to protect their eyes against the signs of aging. Just a single drop of this organic eye serum per eye is all you'll need to achieve totally hydrated skin. When used at night, we noticed less puffiness and "tired" looking eyes in the morning. A simple formula made with 100% organic oils like sea buckthorn, lavender, chamomile, geranium, olive, sunflower, and ylang ylang. Sometimes, it can be hard to bite the bullet and throw down on a luxury skin care item. Well, this organic eye serum from Laurel is definitely worth the price tag. It is made with 100% certified organic ingredients (no fillers) that are known to deliver results when it comes to treating fine lines + wrinkles. This includes gotu kola (wrinkles), evening primrose (fine lines), bilberry (puffiness), and almond oil (dark circles) --just to name a few. If you're looking for an anti-wrinkle organic eye cream that works fast, then say hello to this powerful product from Eminence. It's got everything you could want in an anti-wrinkle and moisturizing eye cream: hyaluronic acid (ultra-hydration), natural collagen, CoQ10, shea butter, and a ton of other antioxidants and vitamins. While this is marketed as being great for dark circles, we found that it is much more effective on wrinkles. A real must try. An ultra-hydrating and antioxidant packed USDA certified organic eye cream. If you don't have deep set wrinkles and are looking for something to help keep wrinkles at bay, then this eye cream is a great choice. Just a small dab of this rich cream is enough to hydrate the entire eye area all day long. Yummy antioxidants like pomegranate, avocado butter, coconut oil, acai oil, and goji berries really work to increase elasticity and plumpness. Dark circles can be a pesky under eye problem for people of all ages. Generally speaking, dark circles are the result of blood vessels under the eye becoming more visible due to thin skin under the eye. As we age, the under eye skin loses its elasticity and becomes thinner. 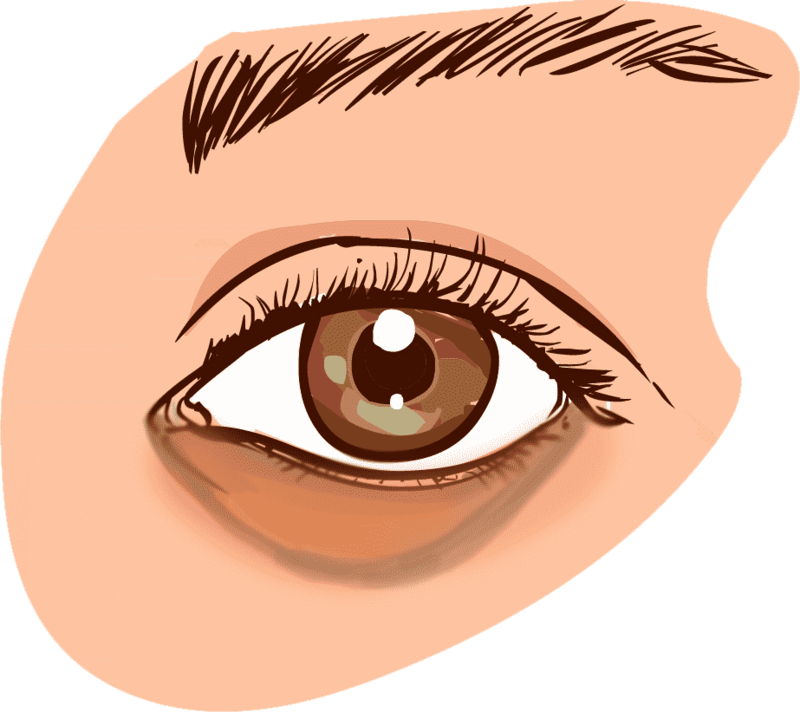 Poor circulation can cause the blood to accumulate under the eye and be more visible under the thin under eye skin. However, dark circles can also be caused by several other factors like hyperpigmentation. Dark circles which have a blue tint are likely the result of blood accumulation or blood vessel visibility. Brownish circles are more likely the result of hyperpigmentation. Before you invest in an under eye treatment, be sure that you’ve identified the root cause of your dark circles. Genetics: Dark circles can be caused by hereditary and structural issues. Too much melanin production, called periorbital hyperpigmentation, can result in literally darker colored skin under the eyes. Additionally, the structure of your eyes themselves can play a role. Sunken or deeply set eyes can cast a natural shadow which cause the skin below the eyes to appear darker. While certain brightening treatments can lighten hyperpigmentation, very little can be done to correct your orbital bone structure (except really good lighting). Poor Diet: Your diet also plays a major role in the formation of dark circles (and your skin’s health in general). Excessive caffeine, alcohol, sugar, and salt intake can cause dehydration. Because the skin under our eye is thin and prone to moisture loss, dehydration can make the veins under the skin more visible; thus, causing the discolored appearance. Smoking has also been known to cause dark circles. Lack of Sleep: They don’t call it “beauty sleep” for nothing. Poor sleep causes the blood vessels under the eyes to dilate, expand, and become more prominent. This creates a dark tone under the thin under eye skin. Allergies: Itchy eyes, inflamed sinuses, and nasal congestion can all cause the blood vessels around our eyes to swell and become more visible under the skin. Aging: There is no way around it: as we age, our under eye skin becomes thinner, making the blood vessels which sit under the skin more apparent. The skin’s ability to retain moisture is also hindered as we age. When shopping for an organic eye cream to treat dark circles, you’ll want to look for products that contain as many of the following dark circle fighting natural ingredients as possible! Aging: There are certain components of our skin which play a huge role in keeping our skin looking youthful. Two such components are collagen and elastin. Collagen keeps your skin firm and elastin literally provides elasticity (the ability for your skin to rebound and retain its shape). After the age of 20, our bodies produce about 1% less collagen each year, causing our skin to lose some firmness over time. Additionally, we produce less elastin, natural oils, and other key skin nutrients as we age. Our under eye skin is already quite thin and has a hard time retaining moisture—this gets exacerbated as time passes. Sun + Environmental Damage: UVA Rays from the sun travel deep under the skin and can cause damage to the underlying skin cells. This damage eventually shows up in the form of wrinkles, sagging skin, and other premature aging signs. Wearing sunscreen religiously or wearing sunglasses when outside can help to reduce this damage. Potent antioxidants can help to minimize if not reverse the damage caused by the sun. Squinting or Smile Lines: Unfortunately, this is not just an old wives tale. Our habitual facial gestures can create permanent lines over time. Small behaviors such as big smiles, squinting at the sun or due to poor vision, and even creases from sleeping on our faces at night can all cause the areas around our eyes to wrinkle. Wearing proper prescription glasses and wearing sunglasses to avoid sun squints can help; however, unless you intend on sleeping on your back and rarely expressing facial emotions, there isn’t much to be done about the other causes. Puffiness, also known as under eye bags, have a variety of causes from aging to allergies. Generally speaking, puffiness under the eyes is caused by an accumulation of fluids in the skin tissue (also known as edema). Understanding what is causing this fluid retention is key to knowing how to solve the issue. Even what you eat may be contributing towards the problem. While many of these causes can be addressed with skin care products, some of them will require a change in diet and lifestyle habits. Allergies: Itchy, watery, inflamed eyes can give the under eyes a puffy appearance. Constant rubbing of the eyes can exacerbate the situation as well. While external remedies such as aloe and cold cucumber juice can reduce the redness and irritation, you’ll have to manage the cause of the allergy in order to see a real reduction in the symptoms. Diet + Smoking: Eating foods high in salt can cause major fluid retention in the body. Not only can this fluid accumulate under the eyes, but it can also cause swelling of the legs and other areas of the body. Try reducing your salt intake by avoiding foods that are high in salt. Additionally, cigarette smoke can cause major eye irritation as well as dehydration of the skin (causing sagging eye skin). Aging: As we age, the tissue under the eyes may become weakened and begin to sag. As a result, fat that is normally stored around the eye can move downward and accumulate under the eyes. Sometimes the extent to which this fat transfer occurs can be partially hereditary as well. The key to combating puffy eyes with natural ingredients is to find ones that reduce inflammation, soothe irritated skin, constrict the blood vessels to reduce fluid buildup, and simulate proper circulation. Cold temperatures can help to reduce swelling, so try looking for products that can be chilled. Alternatively, a nice cold jade or quartz roller or a cold spoon can do the trick as well. 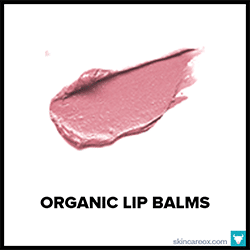 THE BIG BOOK OF ORGANIC LIP BALMSThis list contains the top 40 delicious certified organic, SPF, tinted, vegan, flavored, and unflavored organic lip balms.